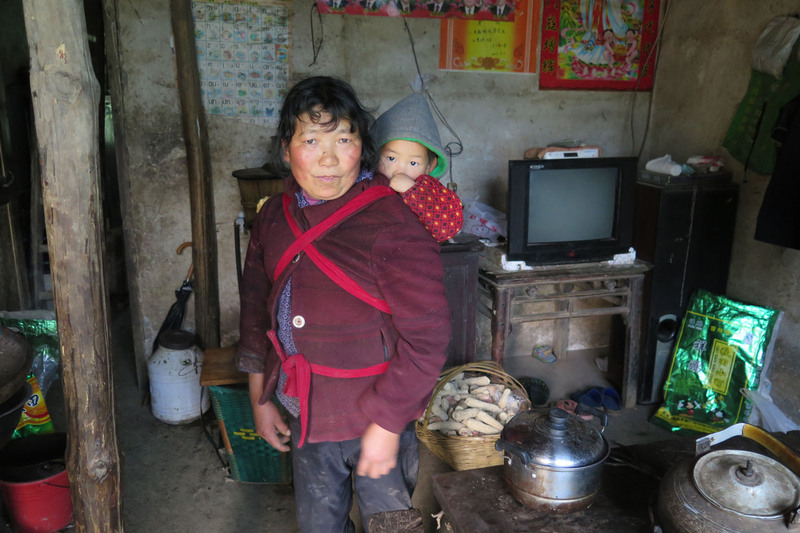 BIJIE (Guizhou) • With her three-year-old grandson strapped to her back in a homemade sling, Madam Lu Jincai trudges across the undulating mountainous landscape towards a plot of land where the family&apos;s corn crops grow. Often, on these gruelling, hour-long daily trips to toil the fields in spring, Madam Lu, 62, pauses to catch her breath, pulling on the straps that crisscross her chest as the boy&apos;s growing weight bears down on her petite frame. Here, in Shisanmu Village in south-western Guizhou province&apos;s Bijie city, Madam Lu and her husband are the little boy&apos;s main caregivers after both their son and daughter-in-law moved to Shanghai last October to look for work. 'The responsibility of taking care of him has been left to us grandparents. Our son did not have a choice as we&apos;re just too poor,' Madam Lu told The Straits Times. The toddler, Zongjian, is just one of an estimated 61 million 'left-behind children' - or about one in five under 18 years old nationwide - who are growing up in the Chinese countryside without one or both parents, according to figures from the All China Women&apos;s Federation in 2013, the last time such a survey was done. About half of them live with just one parent, while a third live with grandparents. Some two million are left alone, without any adult chaperon, as their parents are forced to eke out a living in cities far away amid a widening rich-poor gap between urban and rural areas. The true extent of the problem, however, could be far worse. An expert recently put the number of left-behind children at 100 million, after including urban children whose parents have moved to other cities. But while the issue is not new, a string of fatal tragedies has led to greater attention on the plight of China&apos;s most vulnerable. 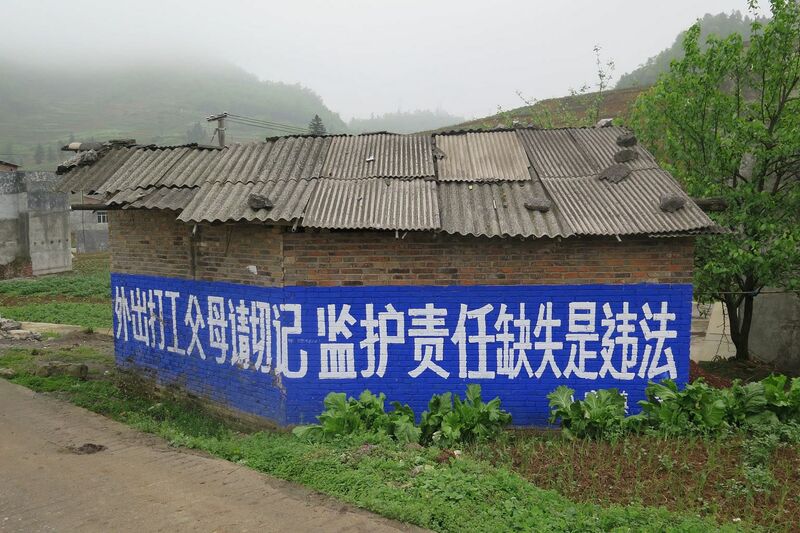 With Guizhou one of the poorest provinces, villages surrounding Bijie, in particular, have been in the spotlight. In June last year, for instance, four siblings, aged five to 13, were believed to have killed themselves by drinking pesticide. In 2012, five left-behind boys in the same city climbed into a large bin and lit a fire for warmth during winter. They were later found dead from carbon monoxide poisoning. These shocking incidents have sparked public outrage over the social cost of China&apos;s rapid economic success, finally galvanising the authorities to take greater action. This year, for the first time, the Civil Affairs Ministry said it would conduct a census of left-behind children. The central government also issued new guidelines in February on the protection of such children. They include tasking rural governments to monitor the welfare of children who live alone. Many families who leave their children behind are often forced to do so due to the crippling poverty in many of China&apos;s traditionally under-developed western and rural areas. Madam Lu&apos;s crops, for instance, fetch her a paltry income of 4,000 yuan (S$840) a year, too little to feed the family of five. Her son managed to secure a job at an electronics factory with a monthly income of about 4,000 yuan only over Chinese New Year, and has yet to send money home, she revealed. 'I know life is tough for them too, so if we can still survive, I don&apos;t want to give them more financial stress by asking for money,' she said. In a rundown house in Laodong Village, also in Bijie city, Mr Wu Liang, 26, said that he and his wife would soon be looking for a job in southern Fujian province, leaving their five- and three-year-old sons in the care of his aged parents. He previously worked in Fujian as a construction worker, returning only once a year, but moved home and found temporary work in Bijie after his mother was diagnosed with breast cancer. The family of six survive on a yearly income of 35,000 yuan. Meat during meals is a rarity and while Mr Wu craves the taste of fish, it is an extravagance they cannot afford. When The Straits Times visited the Wus, both boys were playing in a cluttered kitchen without any adult supervision. They had yet to go to school as it was too far away and too much of a hassle for their grandparents to take them, their father said. Bijie&apos;s grim villages are dotted with similarly strapped households. In Caqiangyan, for instance, a grandmother, who wanted to be known only as Madam Lu, and her husband are the main caregivers to eight children of her four sons, all of whom are working in other provinces. Still, with a chance to see their parents - even if infrequently - these children can already be counted among the more fortunate. 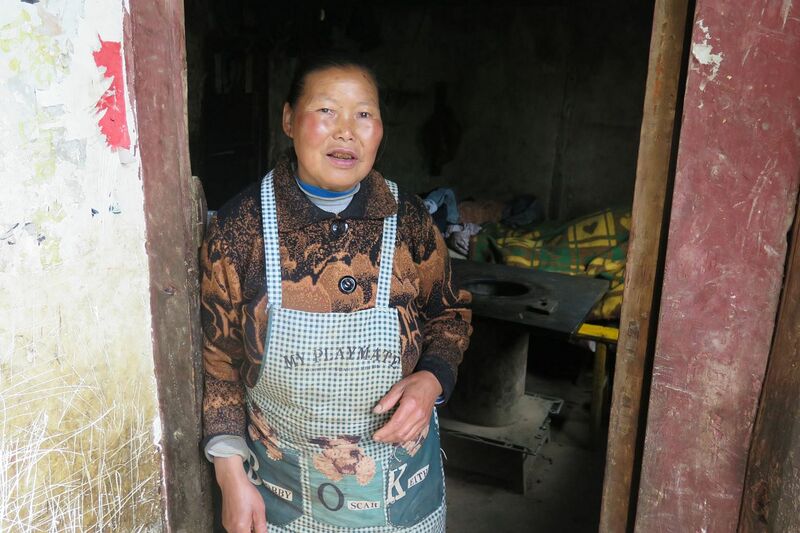 Another grandmother, 60-year-old Madam Gu Guangfeng, has been caring for her two grandchildren - a 15-year-old boy and a 12-year-old girl - for more than a decade after her son left Laodong village in search of work - and never came back. Her grandson was just two then, while her granddaughter was a three-month-old baby. Researchers say left-behind children are more prone to anxiety and depression. The inadequate care they receive also adversely affects their health and education, putting them at a higher risk of violence and abuse, according to Unicef China. 'Although parental migration often brings higher income and potentially more economic resources for children&apos;s education and health... (those) who grow up without parental care often experience emotional and psychological stress that negatively impacts their behaviour and development,' its spokesman told The Straits Times. The Beijing-based Centre for Child Rights and Corporate Social Responsibility (CCR CSR) said it has observed that left-behind children are 'generally unhappier, lonely, irritable and even more aggressive'. Such adverse consequences on such a large swathe of the population will translate into a large economic and social burden on China in the future, as they could strain the country&apos;s welfare system, Unicef said. But Ms Pia MacRae, country director of Save the Children in China, emphasised that left-behind children should not be stereotyped and labelled as 'problem children'. There are some who thrive, often because good alternative care arrangements are in place, she said. Still, Beijing&apos;s latest directive on strengthening the protection of rural left-behind children is a crucial milestone, experts say. Its first census will also help the government draft more targeted policies and recommendations. One key area that many are keeping an eye on, for instance, is the continued reform of the hukou, or household registration, system. The system ties social benefits such as healthcare and education to a person&apos;s hometown and is often blamed for preventing migrant workers and their children from accessing social services, discouraging parents from taking their children with them to the cities. The private sector could also help to improve the situation, Ms Ines Kaempfer, executive director of CCR CSR, told The Straits Times. 'Foreign firms sourcing from China, for instance, can work with their supplier to set up child-friendly facilities and make an impactful contribution to reduce the number of left-behind children and strengthen the sustainability of China&apos;s economy,' she said. Combined efforts from various segments of society are vital to protecting the very fabric of China&apos;s families, which is crucial to the country&apos;s future, experts added. 'China&apos;s future depends on whether... today&apos;s children are able to build trusting relationships with their family, workmates and neighbours, and whether they are able to build good parenting skills to raise their own,' said Ms MacRae.